I go for neutrals in every aspect of my life - my nails, my car, my go-to purses, my living room accessories. Every once in a while, though, I'll wander outside of my comfort zone and go for something that really pops, like when I ventured into Paintbox this past summer and got sparkly pink and shimmering silver nail art. 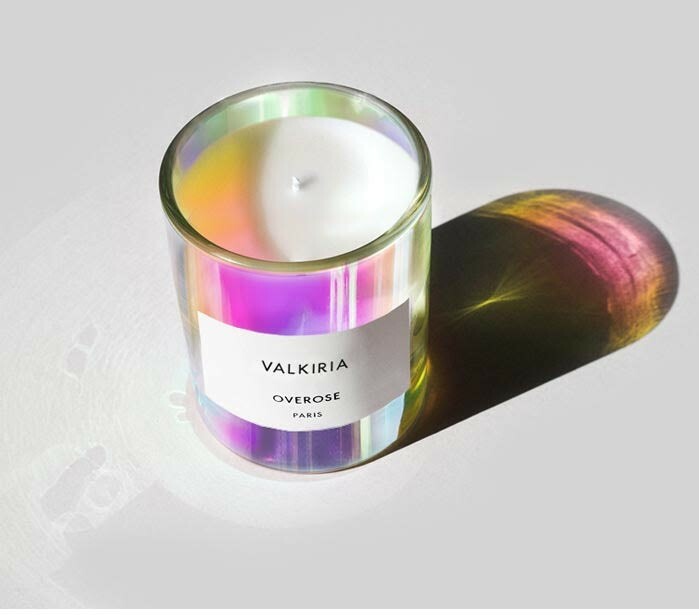 That same feeling came over me the second I saw the latest collection of candles from Overose on Instagram. I don't care what they smell like - I just need one of these holographic bad boys. The older I get, the more stuff I accumulate. It's human nature, I suppose, to pile up the books and souvenirs that make me happy, keep on-hand stacks of blankets and pillows to make a Netlix-and-chill session that much more relaxing, and grow my collection of stemless wine glasses (hey, they break eventually!). 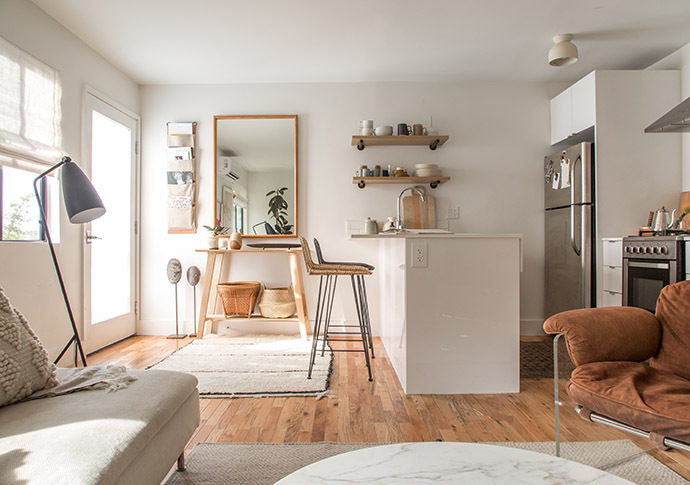 With each online order of stuff to add to my apartment, I do get a sense of satisfaction that I'm making my home into a fully functioning adult space, but at the same time, I get the nagging sense that I'm moving further and further away from that aspirational minimalist apartment that haunts my dreams and my Pinterest boards. 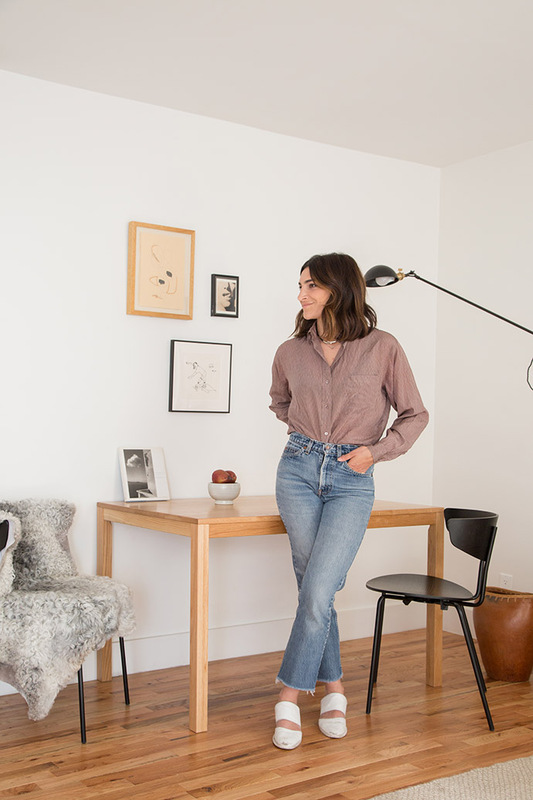 The warm yet neutral home of Paige Geffen is a space that makes me want to throw 70% of my belongings out on the curb. 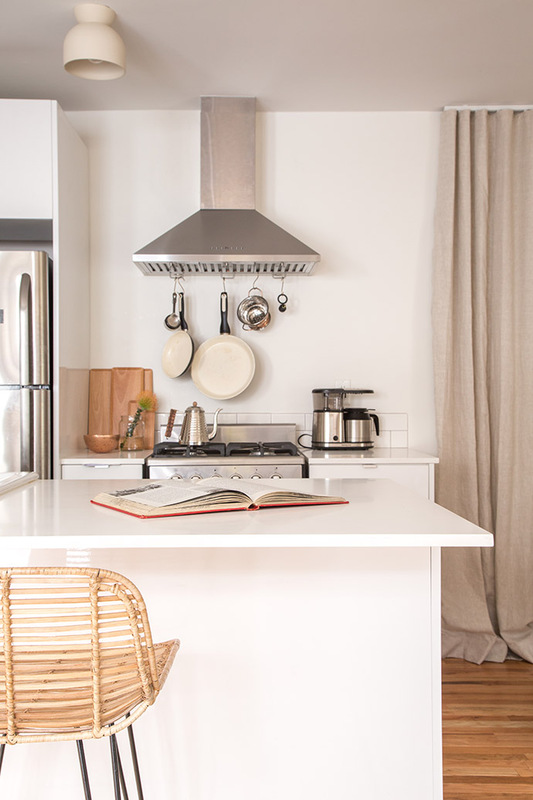 Her pots and pans all match in the same earthy clay tones, her couch looks perfectly comfortable yet refined, and her mix of metallics, woods, and stone scream sophistication without being too delicate. She could throw a party for all of her closest friends in this space and not worry about anything not surviving - as long as no one spills red wine. I've been able to control my candle shopping habits by only allowing myself to pick out under-$20 options from T.J. Maxx and HomeGoods. By thoroughly combing through their aisles, I can usually pick out a few soy wax options with the muskier, more masculine notes that I prefer over fruity or florally ones (I've actually had good success with the "Manly Indulgences" line and love to think about the type of bro that would actually pick one of them out for his own pad). 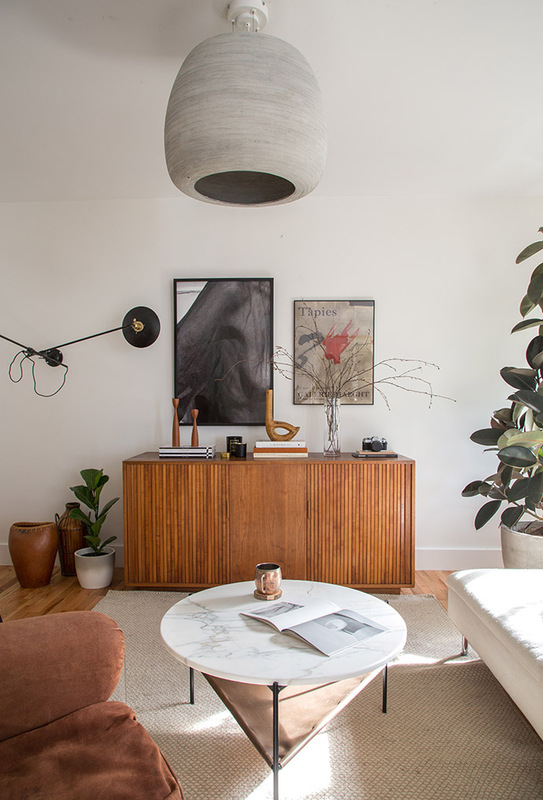 I'm a sucker for the more Instagram-friendly selections, though, and while I'm not going to start filling my online shopping cart with Byredo or Dyptique candles anytime soon, I am ready to spend a tiny bit more to satisfy this urge to fill my home with millennial pink purchases. Enter Boy Smells candles. These candles seem like they were designed as click bait for a rosé-loving 28 year old like me. The design is minimal but playful, the names are punny and simple, and their scent profiles are sophisticated but not overly complicated. I'm allowing myself to pick one out as a new summer scent, but now the real hard part is deciding which one to get. I work in the skincare industry, which means that I spend a lot of time both in and out of the office learning about and trying new products and trends. Anyone who stops by my apartment just has to take one peek in my bathroom to be overwhelmed by the staggering number of sample sized tubes and jars that I've amassed to try. There's an overwhelming amount of new product coming out daily, and while I want to get my hands on as much as it as possible (#productjunkie alert), the more stuff I try, the more I realize that most of it won't work for me. That's when it's time to turn to the experts. I've been reading about Heyday for months now, intrigued by their Instagram-friendly lobby, easy to read blog posts, and accessible approach to high end natural beauty, so on a recent trip to New York, I decided to book myself a 50 minute treatment and see what the hype was about. 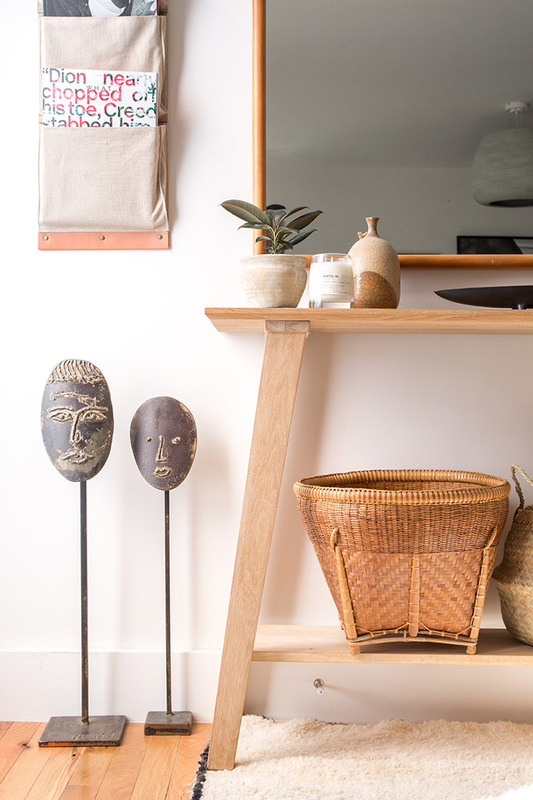 While a big part of their mission is to take the snobby spa component out of the facial experience, I was still pretty impressed with the zen vibes that I got when I arrived for my appointment. I was greeted by very pleasant staff, who were happy to accomodate me when I realized I had shown up at the wrong storefront - oops. They had availability though, so my lost-in-NYC moment only made me feel dumb for about a minute before I was led into my treatment area. My Skin Therapist was super nice and friendly, and happy to listen to my concerns but also gave me her two cents about my own opinions about my face. Turns out, my skin is way more sensitive than I had ever thought, and the realization that I should focus more on gentle hydration to calm my face down has been a serious game changer for me ever since. She walked me through every part of her process, but also let me relax and have plenty of quiet time throughout the whole treatment. At the end, she recommended that I add Herbivore Lapis Facial Oil to my nightly routine, and I honestly am surprised by how powerful making this one addition to my routine has been - game changer! Holy grail product, even. A few days after my facial, my skin still felt hydrated, glowing, and more clear than usual, even after flying to the city and back, getting stranded overnight by the airport, and not getting nearly enough sleep. I'm ready to book my next appointment as soon as my schedule (and bank account) will allow it.